In 2001, Codman Academy Charter Public School opened its doors on the site of Codman Square Health Center, becoming the first co-located health and education partnership in the country. Since that time, Codman Academy and Codman Square Health Center have learned much about what it takes to make such a partnership work. There have been innumerable successes, but also some challenges. 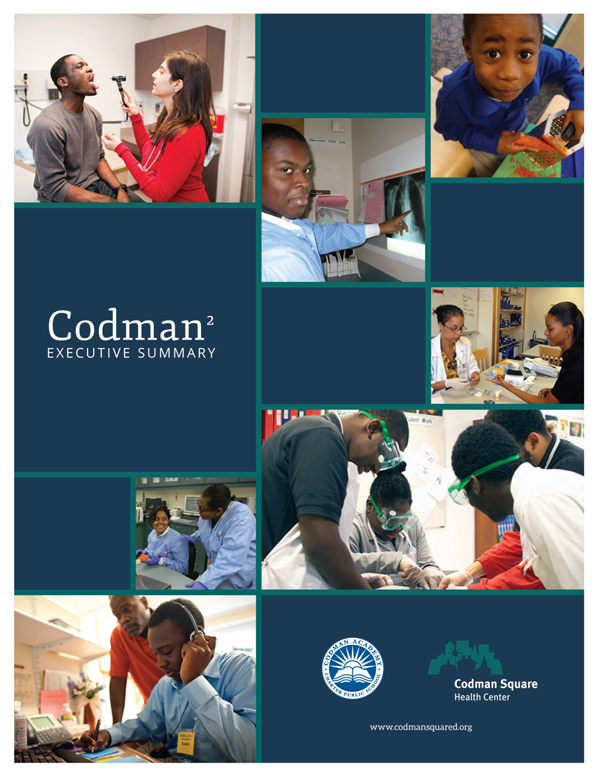 Codman² would like to thank Startup:Education and Blue Cross Blue Shield of Massachusetts for their support in the development of the Blueprint and Executive Summary.